Merideth and I are both runners, and that means getting back from early morning races having to prioritize going back to sleep or having a nutritious breakfast. This quick prep oatmeal solves both of these problems (eventually). Also handy for, let’s face it, mornings you just want to go back to bed for just a little bit longer. Like some of our other recipes, this oatmeal is flexible to your preferred ingredients. In this case, I used the blueberries and almonds I had on hand, but granola, walnuts, and/or strawberries (or chocolate chips…) would be good too! Arrange sliced bananas on bottom of slow cooker. Top with raisins or other preferred fruit. 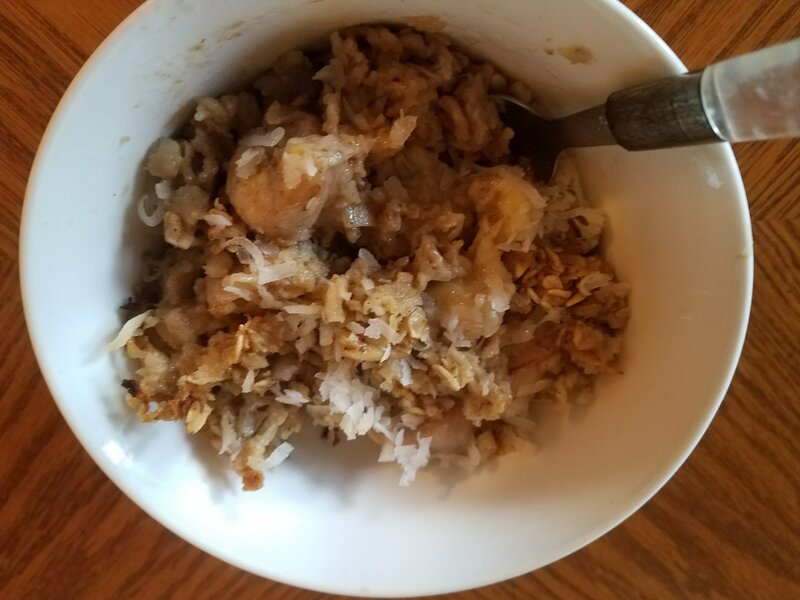 In separate bowl, combine oats, nuts (if using), cinnamon, and salt. Add milk, honey and vanilla and stir. Pour oatmeal mixture over bananas. 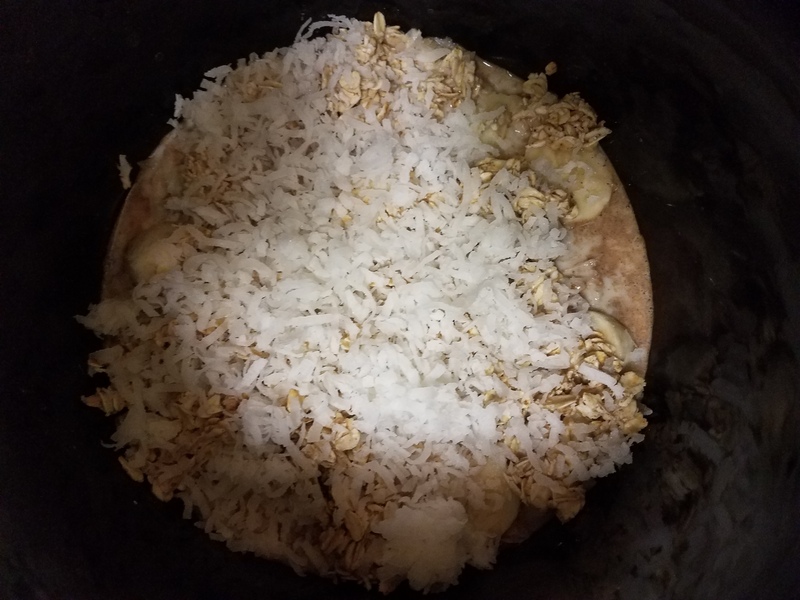 Top with any remaining ingredients and coconut. Cover and cook on low for 2 hours, or until oatmeal is cooked through. Wine Pairing: Mimosas, of course!